The community center houses the administrative offices, registration, the Deerfield Park District Preschool, Tree House Indoor Playground, and much of our recreation programming, including art and ceramics classes, cooking, preschool programs, jazz and ballet classes offered by the Deerfield Dance Studio, and some of our adult activities. Many of the rooms at the community center are available for rental. The office will be closed in observance of major holidays. 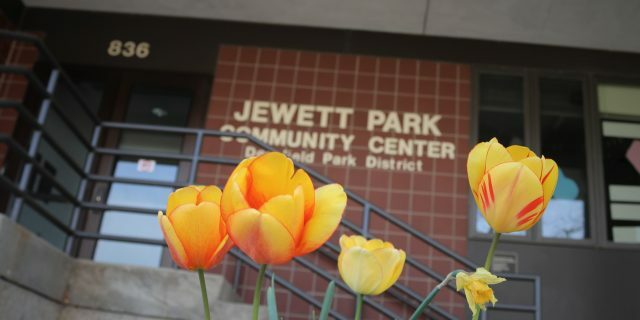 The park district registration and administrative offices are located at the Jewett Park Community Center, 836 Jewett Park Drive, Deerfield, IL 60015. Monday- Friday – 9:00 a.m. – 5:00 p.m. The Deerfield Park District has its own fine in-house dance program, the Deerfield Dance Studio, run under the direction of professional instructors Amy Rose and Rebekah Fontane. The studio offers a range of ballet for all ages and ability levels. Please call 847-945-0650 for additional information. The Deerfield Park District Preschool is located on the upper level of the Jewett Park Community Center. Director Lynn Braun lead a dedicated, professional staff in this licensed program for youngsters ages 2-1/2 – 5 years of age in morning and afternoon classes. The program runs from September through May. Registrations are now being accepted for the 2018-2019 school year.Children will participate in the creative play, communication, learning and socialization opportunities at the Jewett Park Community Center. A wonderful, experienced and dedicated staff, supplemented by specialists in art and music, enhance the fun learning experience. “Growing Together,” an intergenerational program, adds a special touch to our many classrooms. To speak to our preschool director please call Lynn at 847-572-2635 or contact us and we will put you in the right direction. 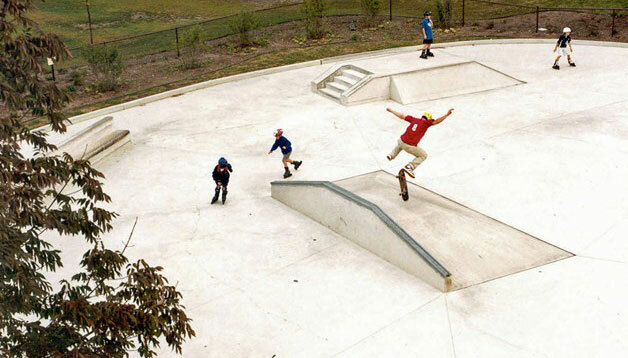 The Deerfield Park District has built one of the first public poured concrete skate board and in-line skate facilities in the state. 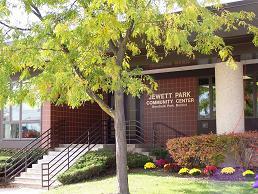 The 11,000 square foot facility is located in Jewett Park, near the corner of Deerfield and Waukegan Roads. It is geared to the more experienced athlete. Hours at this unsupervised facility are dawn to dusk. There is no charge to use the facility. Safety equipment is encouraged. Helmets are required for all skaters under 16 years of age. Your children will love the Treehouse on the upper level of the Jewett Park Community Center. The kids will enjoy the eight foot tube slide, mountain climb, spring walk, web crawl and double cush-n-cube bags, not to mention other intriguing attractions to stimulate young imaginations. Children like to jump and climb, pretend and be challenged. The Treehouse provides all those opportunities to children who are at least three years old and less than 4-feet tall. The Treehouse is also available for rentals and parties. Treehouse is CLOSED for drop-in from Memorial Day through Labor Day. Parties are offered during this time. Daily fees are collected by the Treehouse attendant. You may purchase punch cards at the JPCC registration office. An attendant will be present to punch your card. You are required to pay the daily admission fee no matter what time you enter or leave the Treehouse.